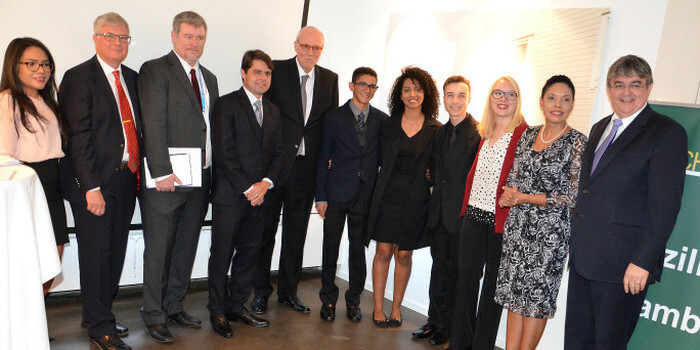 Flavia Kurtz - Pelé s daughter; José Macia (Pepe); Elisa Sohlman - Brazilcham ; Bengt Ågren -General Secretary for FIFA World Cup 1958; Paulinho - BK Häcken - top scorer of the year award 2018 Sweden. 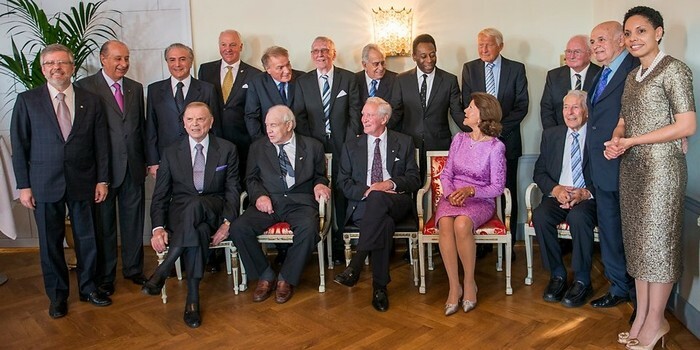 "1st Meeting on Sweden-Brazil Defense Trade - fostering sounding businesses"
HM Queen Silvia, Vice-President of Brazil, the Speaker of the Parliament, Pelé, and other football legends from the '58 FIFA World Cup Final, at "Brazil vs Sweden: Great Past, Memorable Future!" 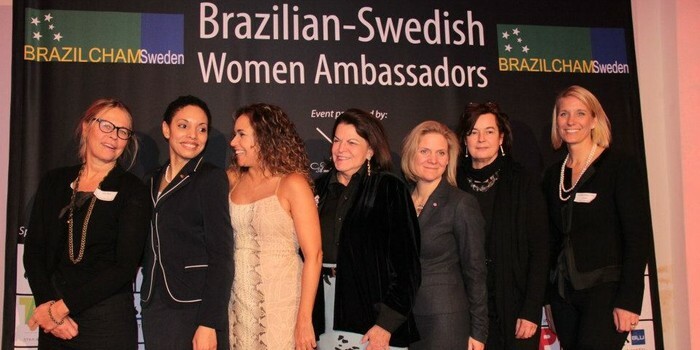 "Brazilian and Swedish Women Ambassadors", celebrating women empowerment! 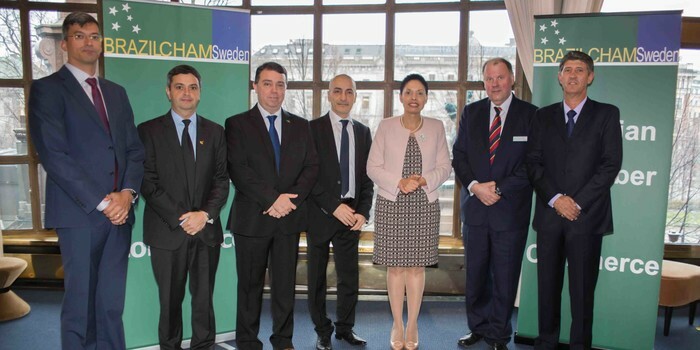 The Brazilian Chamber of Commerce in Sweden, Brazilcham Sweden, is a non-profitable member organization that has become a reference point and meeting place for Brazilian and Swedish companies. 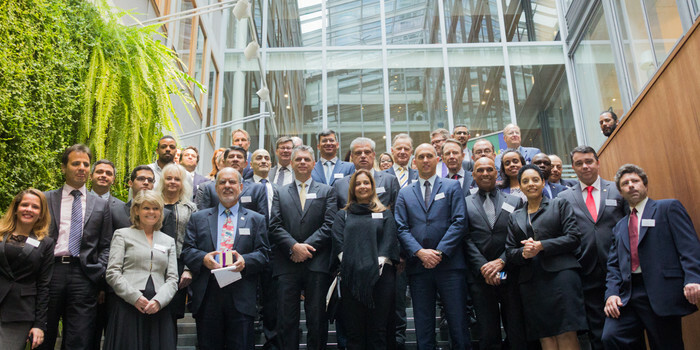 Our mission is to promote and develop bilateral links between Brazil and Sweden by providing high quality networking as well as relevant information on business opportunities in both countries. 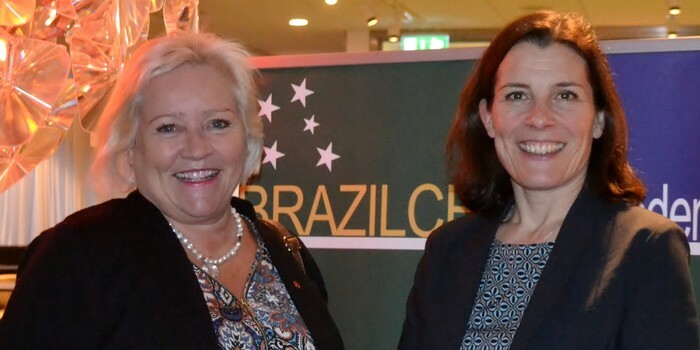 Our members have access to a valuable support through our knowledge and understanding of the socio-economic and political relations between Sweden and Brazil. 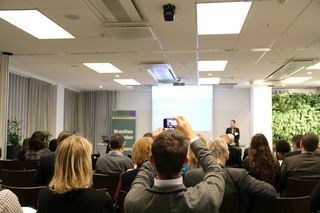 We are working to increase even more the exchange between Sweden and Brazil, both economically and culturally: Join us!! 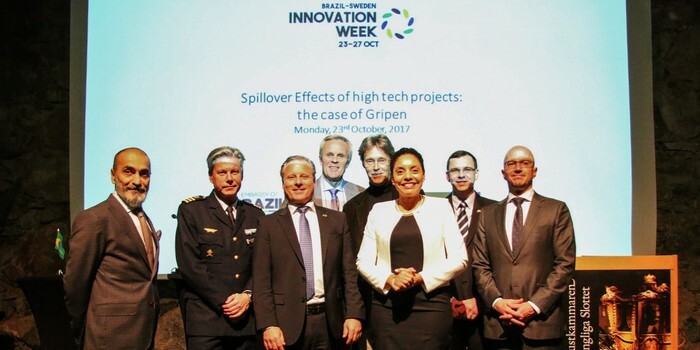 We offer substantial and dynamic informations to our clients, enhancing their opportunities for prosperous activities within and between Swedish and Brazilian business environments. 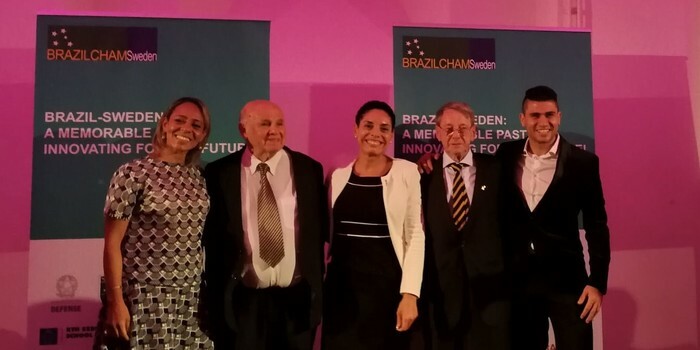 For the occasion of the 60th Jubilee of the First Brazilian World Cup title in 1958 in Sweden, the Brazilcham Sweden has the honor to invite you to Brazil-Sweden: a memorable past Innovating for the future!